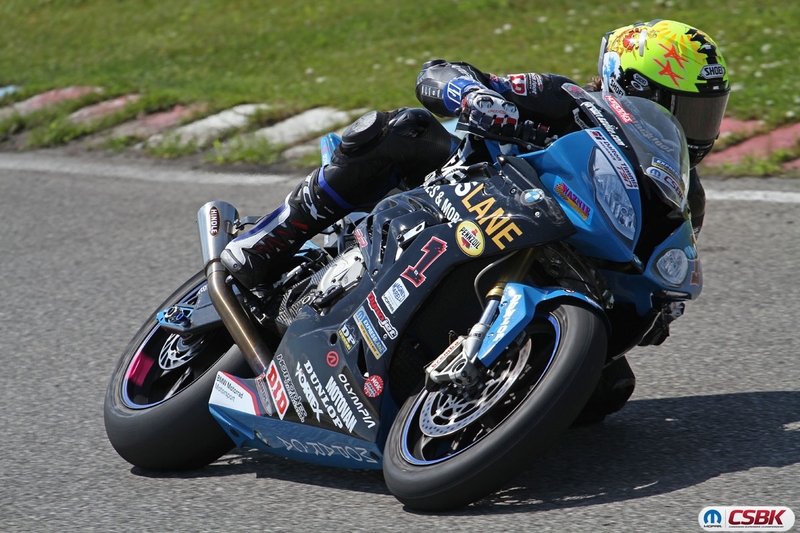 Port Perry, Ontario (July 9, 2018) - The third round of the 2018 Canadian Superbike Series (CSBK) took place last weekend (June 29 - July 1) at Autodrome St-Eustache in St-Eustache, Quebec. It was a hot one with record breaking temperatures reaching 34 degrees celcius with a measured track temperature at 49 degrees celcius. The heat made for challenging conditions that the riders had no choice but to battle through. 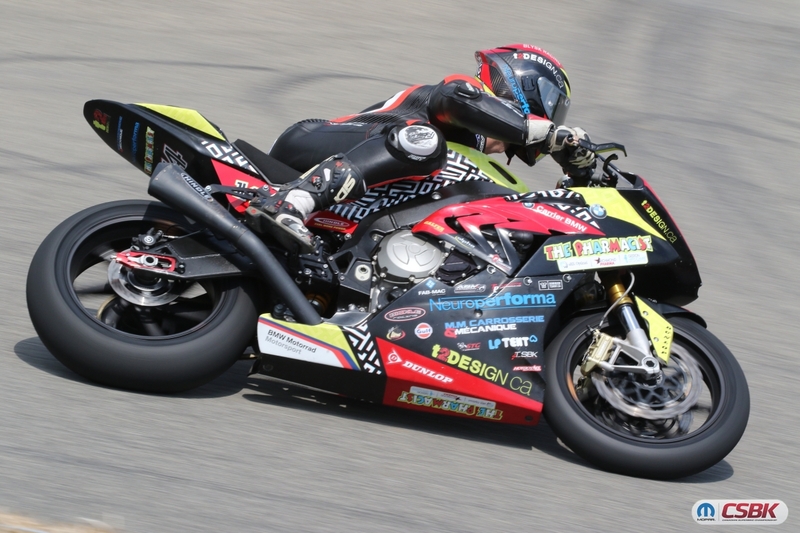 In the feature Mopar Pro Superbike qualifying, Szoke, on the Mopar Express Lane/Hindle/BMW S1000RR, scored the top spot, followed by Young, on the Scotbuild/Hindle/BMW S1000RR, only 0.2 seconds behind in 2nd and Daley, on the One Speed/Hindle/Kawasaki ZX-10R in 3rd. 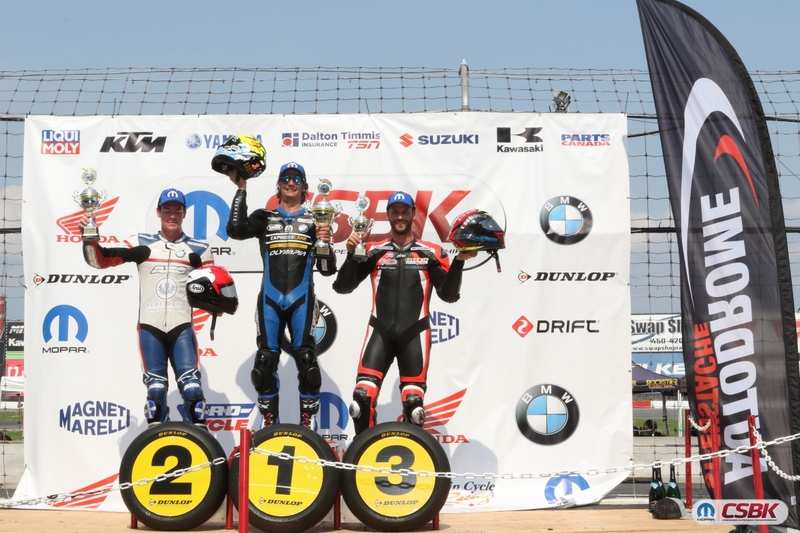 In the Mopar Pro Superbike race, Young had an amazing start and grabbed the holeshot ahead of the #1 plate champion, Szoke. The first few laps were a changing battle for 1st and 2nd between Young and Szoke. Szoke was eager to especially win at this track since he has not lost a race here since 2011. Young maintained a fairly consistent lead until lap 3, where Szoke got by and Young decided to bide his time to see what would happen. Szoke, however, slowly crept away, gaining about 0.1 of a second on Young each lap. Szoke crossed the finish line in 1st place, while Young crossed in 2nd place. 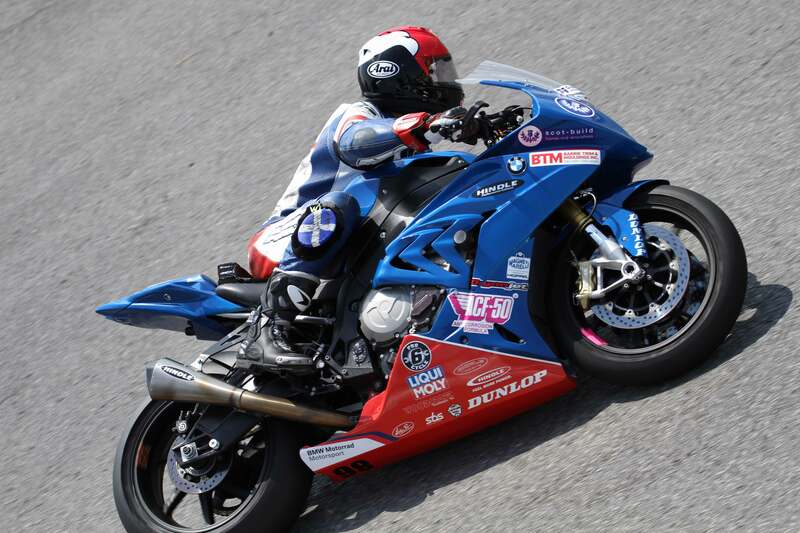 Samuel Trepanier, on the Blysk Racing/Hindle/BMW S1000RR, came in 3rd place after starting further back on the grid due to a penalty in qualifying. Trepanier and Daley battled closely for 3rd and 4th, but Trepanier was able to maintain the spot across the finish line. Daley came in a close 4th place, followed by Michael Leon, on the Royal Distributing/Hindle/BMW S1000RR in 5th place. "I got a really good start, but obviously Ben got a better one," Szoke laughed. "This is my strongest track on the [schedule], but these guys stepped up. Fortunately, I was able to pull out a gap and keep the pace until the end." "We were giving all we had. We had a great start, it actually surprised me," Young said. "It's still disappointing, but we're taking steps forward and now we just need to try for first in [round four]." 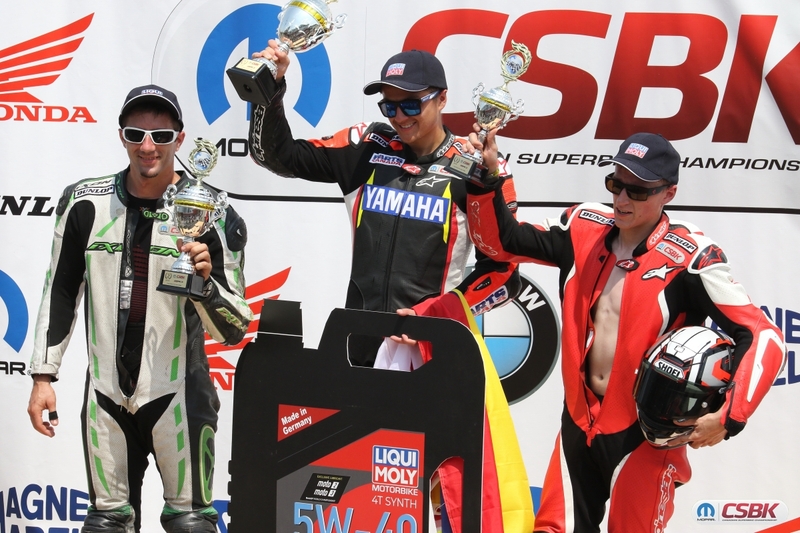 In other racing news, Tomas Casas, the Liqui Moly Pro Sportbike #1 plate holder on the Peterborough Cycle/Hindle/Yamaha YZF-R6, regained his momentum and took home 1st place. Casas consistently held onto 1st place the entire race, while an exciting battle for 2nd and 3rd was happening right behind him. 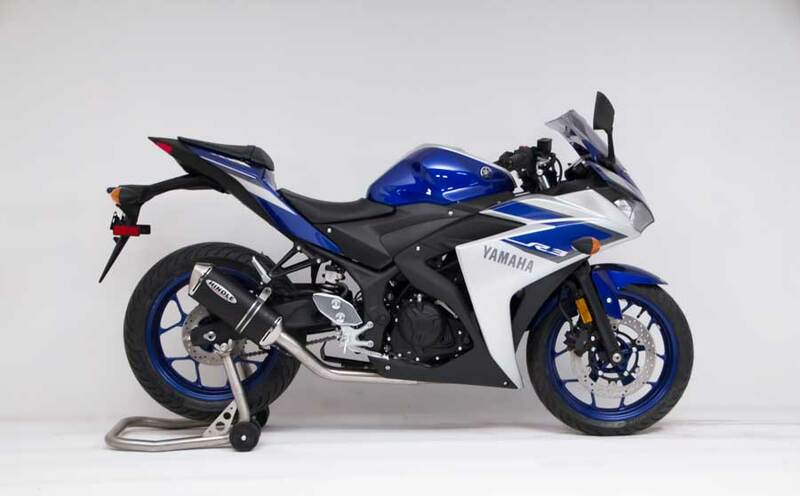 Mitch Card, also on a Yamaha YZF-R6, battled back and forth with Sebastien Tremblay, on the DB Moto/Hindle/Kawasaki ZX-6R. Card ended up crossing the finish line in 2nd with Tremblay close on his tail in 3rd place. "The plan was to get a good start and luckily we were able to because there was a big battle behind me," Casas said. "The heat was killing us, but I had a blast out there." David MacKay, on the Mack Attack/Hindle/Kawasaki ZX-6R finished in a close 4th position, followed by Louie Raffa on a Honda CBR600RR. 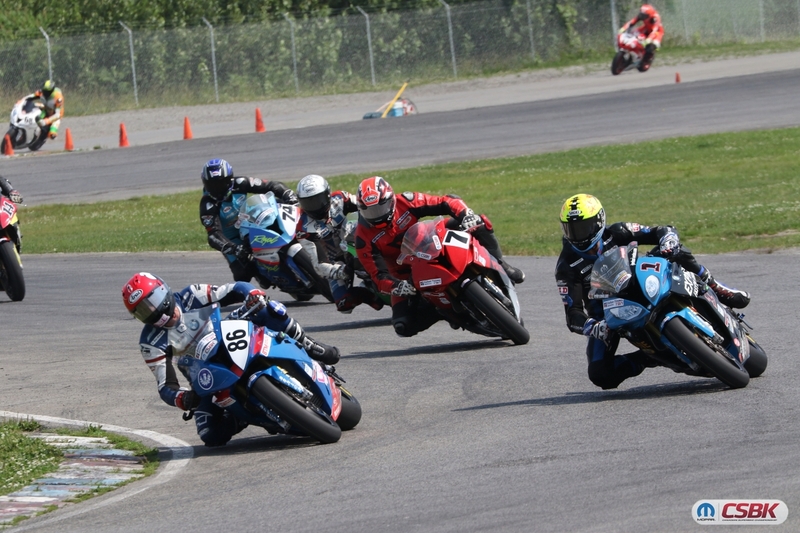 Casas (#1) held off the rest of the pack in the Liqui Moly Pro Sportbike Race, while a close battle for 2nd (Card #12 and Tremblay # 24) took place right behind him. MacKay (#82) held onto the 4th place spot. 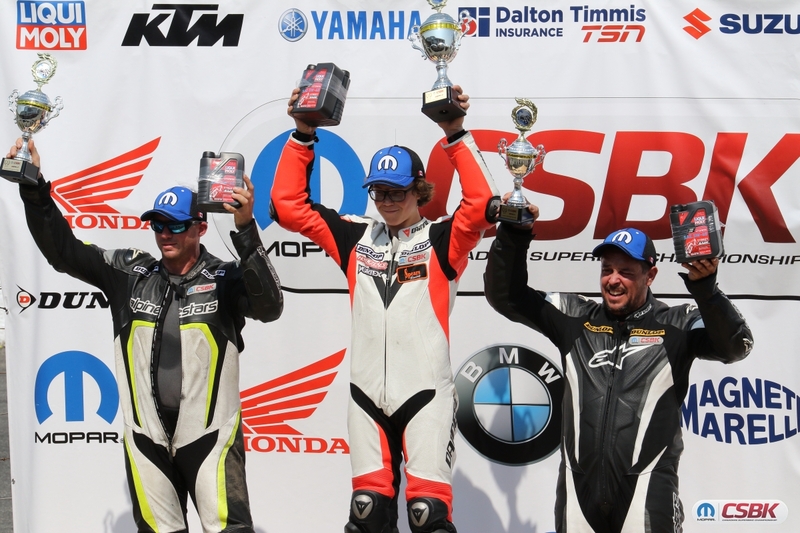 In the Amateur Lightweight class double-header, Laval, Quebec rider Alex Berthiaume was able to put an end to Jake Leclair's winning streak by bringing home 1st place aboard his Yamaha YZF-R3 in Race 1. Leclair, on the Oshawa Cycle/Hindle/Yamaha YZF-R3 finished in a close 2nd, followed by Ryan White in 3rd, on the Hindle-powered Kawasaki Ninja 300. Leclair was able to regain his top spot on the podium during Race 2, where he finished ahead of White in 2nd and Berthiaume in 3rd. ""It was a good, fun race," LeClair said. "I grabbed the hole shot and was able to pull a gap, and unfortunately Alex rode off at the end so here we are [in first]." Leclair wasn't able to continue his winning streak in Race 1 of the Amateur Lightweight class - but, he regained it in Race 2. Race 2 results: Leclair in 1st, White in 2nd and Berthiaume in 3rd. 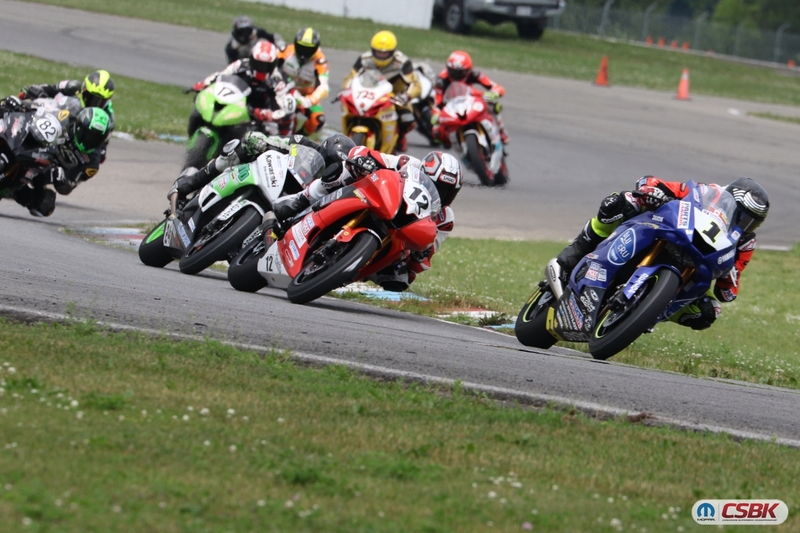 Round 5 is taking place July 19-22 at Atlantic Motorsports Park in Shubenacadie, Nova Scotia. 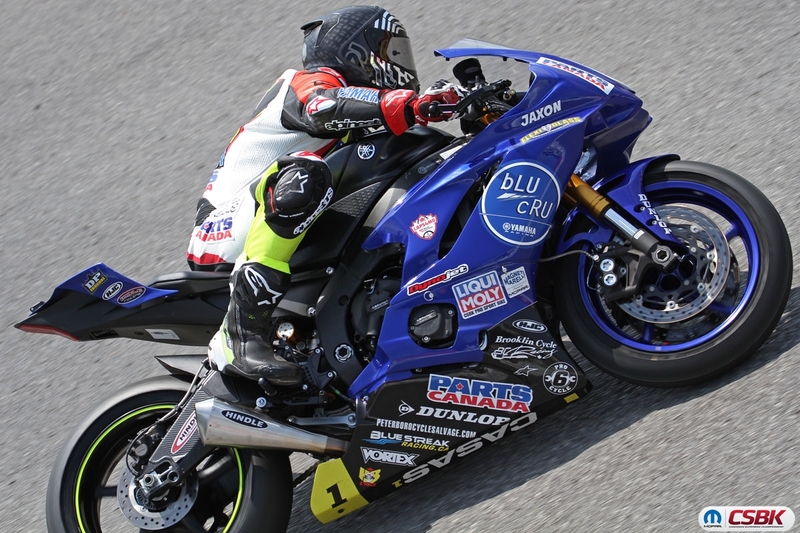 The East Coast fans are always equally excited for the Canadian Superbike National weekend, as there is typically a a very enthusiastic crowd that turns out to watch the top motorcycle racers in Canada compete.